This new laser tag assault rifle runs on Li + batteries. This means that this set can work without recharging for up to 24 hours while playing on the practice ground. 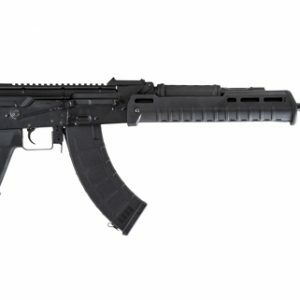 The weight of “AK-105” is relatively small: only 124 oz. Length is 38 inches. 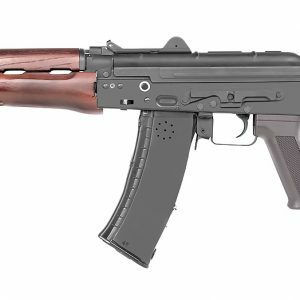 It is 4 inches shorter than the “AK-74M.” As with all latest taggers made by our company, this new “AK-105” has retained the functionality of its elements, i.e/, in the upper position of gun safety lock, recharging and shooting are impossible. Also, you will appreciate the enhanced trigger system.